The lunar space program captivated the American public for more than a decade, ending in 1972 with the Apollo 17 making the final landing. The suits the astronauts wore in those glory days were recently on display (sort of) at the National Air and Space Museum. 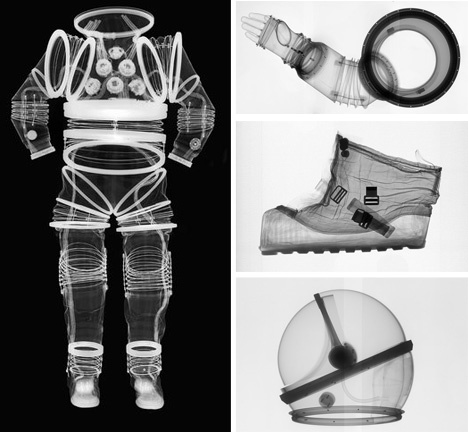 Featuring x-rays of each piece of a spacesuit, the Suited for Space exhibit revealed a surprising attribute of NASA’s 40-year-old technology: it wasn’t much different than that of today. 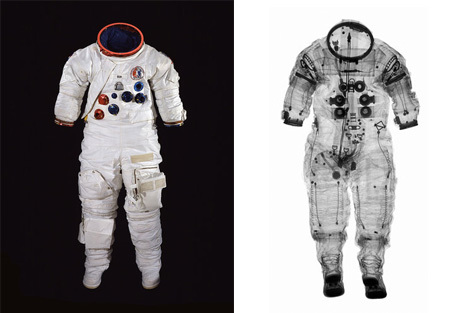 The images looked almost exactly like the suits used for modern space exploration. One could argue that the shelving of once-vital programs by a sluggish modern-day NASA has hindered the advancement of space technology. But the more likely scenario is that the suit’s designers got it right the first time. 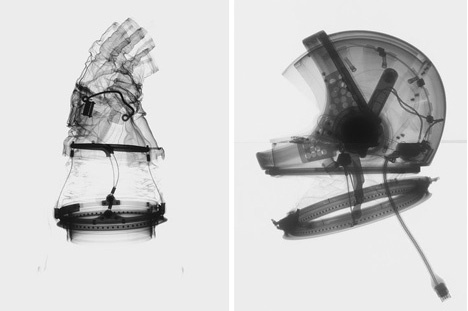 “The inner workings and components show how they’ve come up with design solutions for very real problems, like keeping the air inside and keeping the spacesuit from blowing up,” says Cathy Lewis, curator of international space programs and spacesuits at the National Air and Space Museum. This iconic ensemble, so ingrained in the American psyche, has come a long way – in years that is. See more in Retrofuturistic or under Vintage & Retro. August, 2013.